Why visit: The tropical rainforest is home to more than 500 native plants, 430 bird species and an incredible number of reptiles, amphibians and insects. More detail: Located within the Daintree National Park, the gorge is accessed via a suspension bridge that takes visitors into the rainforest. Here you can experience the culture of the indigenous Eastern Kuku Yalanji while being enveloped by the stunning beauty of the rainforest. In addition to exotic and brilliantly coloured flora and fauna, the lush rainforest hides quiet pools and rushing waterfalls. Listed as a World Heritage Site, the Daintree Rainforest contains the world’s oldest surviving rainforest and is considered to be the source of many of Australia’s unique plant and wildlife species. 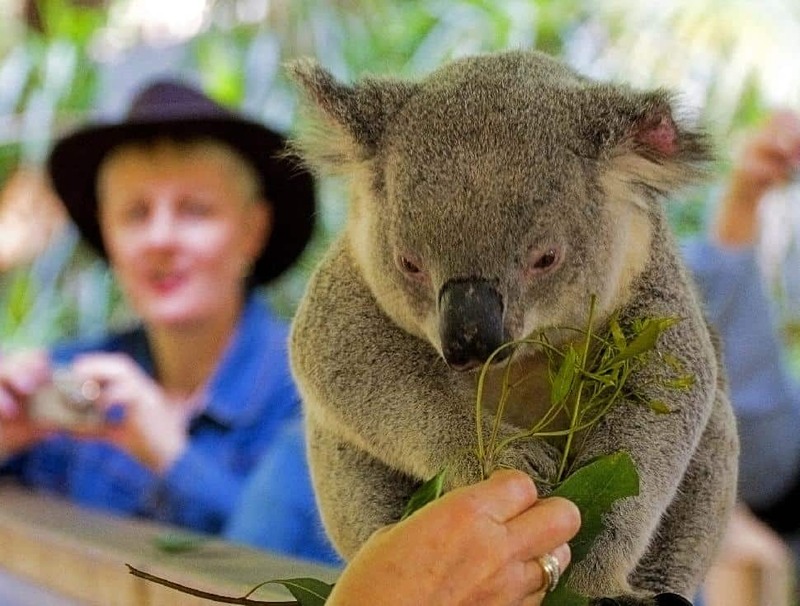 Consider this Australia's Garden of Eden oasis. Nearest town: Many cities along Queensland. Popular launch points: Cairns, Port Douglas, Airlie Beach & Townsville. Why visit: It’s a UNESCO World Heritage Site containing an incredibly diverse marine habitat and unparalleled underwater beauty. 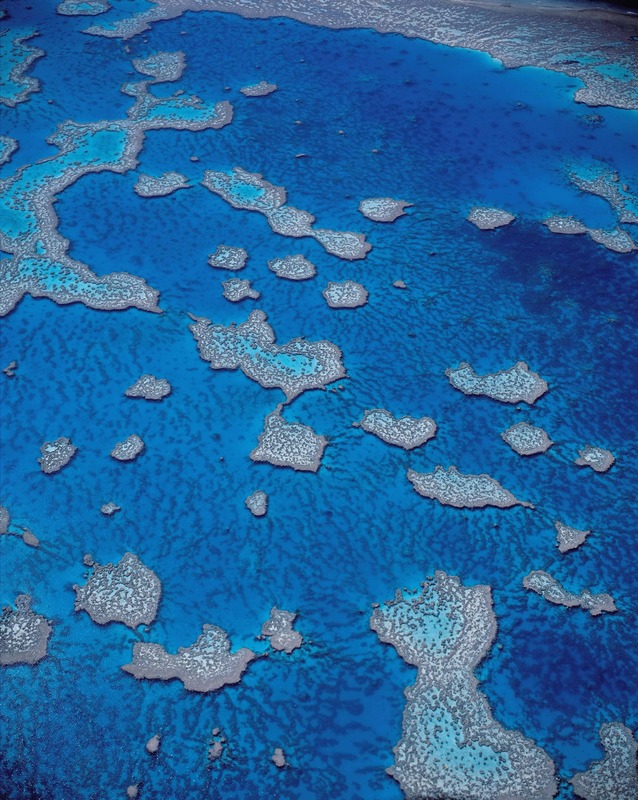 More detail: The reef stretches more than 2,300 kilometres along the coast of Queensland in the Coral Sea. It’s so large that it can be seen from space and is the largest formation on the planet made by living organisms. Much of the reef falls under the protection of the Great Barrier Marine Park, safeguarding the habitats of whales, dolphins, porpoises, dugongs, sea turtles and some 1,500 species of fish. Seventeen species of sea snake make a home in the warmer waters of the reef, while saltwater crocodiles inhabit coastal mangroves and marshes. The reef is a flurry of activity. Sharks and stingrays take advantage of the rich food sources while more than 200 species of birds hunt for fish from the air. This predatory environment, along with the visibility afforded by pristine waters make it a very exciting dive site. The best time to visit is during the dry season, from June to November. Those do not having aquatic aspirations can explore the reef during low tide.When the waterline recedes, portions are left exposed. Visitors can wander the sandy tracks between living coral. Why visit: A mammoth sandstone rock that juts 350 metres above the seemingly barren landscape, Uluru is one of the most impressive landmarks in Australia. More detail: The unique monolith was named Uluru by the Aboriginal tribes which have inhabited the area for more than 10,000 years. The land surrounding the World Heritage Site is still owned by the Pitjantjatjara Aboriginals and camping is not permitted. The ridges and valleys which make up the surface reveal years of erosion, first from water when the rock was beneath a sea, and later by the winds that blow through the region. Circling the base of Uluru will take casual walkers 3.5 hour on foot. Why visit: The vast interior of Australia is home to remote Aboriginal communities, cattle stations and fascinating wildlife that have adapted to the harsh, hot conditions. More detail: Alice Springs is located in the centre of the continent and is the premier place from which to explore the Outback. The town was founded more than 100 years ago and has developed an eclectic culture that is part European and part Aboriginal. 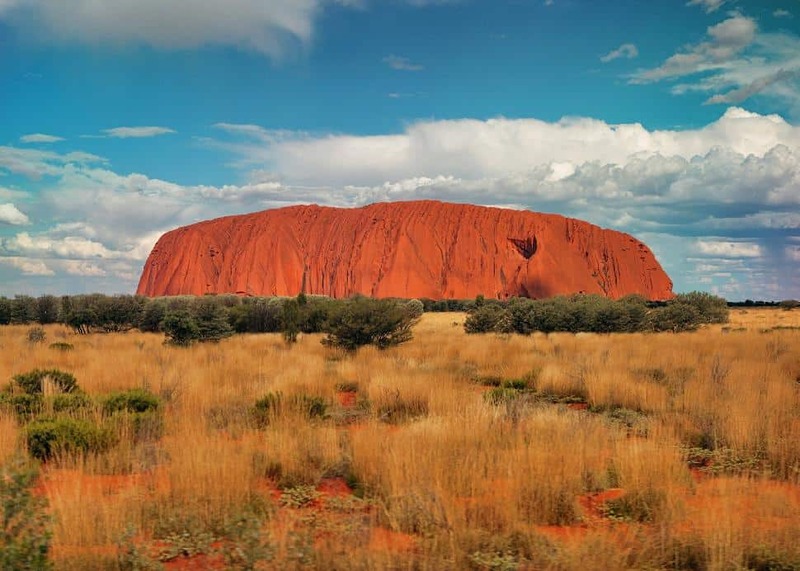 Modern amenities intermingle with Aboriginal art, and tours to remarkable sights are easily arranged from Alice Springs. 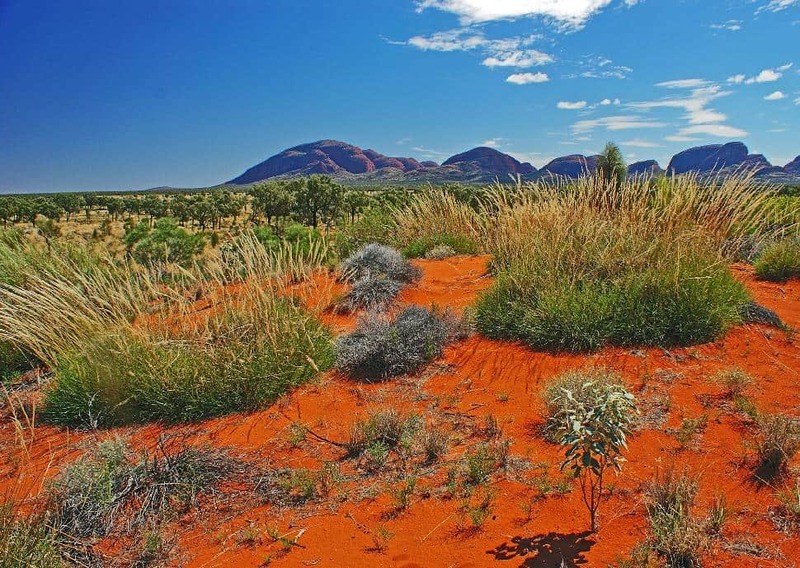 Surrounded by the Red Centre, reaching areas such as the Simpson Desert, Chambers Pillar and Rainbow Valley is easily accomplished from the town. Why visit: The scenery is spectacular around this accessible glacier, located in a temperate area. More detail: Franz Josef Glacier is nothing less than dramatic. Its expanse runs from the heights of the Southern Alps to less than 300 metres above sea level. The 12 kilometre glacier currently terminates 19 km inland from the Tasman Sea, but is constantly advancing and retreating. Both guided and unguided walks around the glacier are permitted with proper equipment. However, the terminal face is currently unstable, necessitating access via helicopter. Nearby Lake Mapourika and the Okarito Lagoon offer tranquil walks and are popular bird-watching areas. Why visit: Overwhelming beauty has made the Milford Sound (which is actually a fjord) one of the most visited tourist sites in the country. 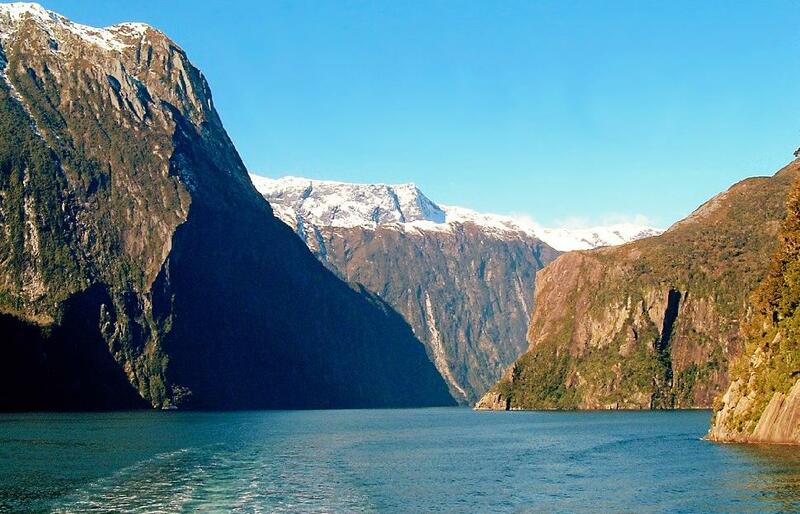 Rudyard Kipling was so moved that he proclaimed Milford Sound to be the eighth wonder of the world. More detail: Sheer mountainsides plunge 1,200 metres (and greater) straight into the waters of the Milford Sound. The ethereal result? A fjord home to two incredible permanent waterfalls and many more following heavy rains. Two recognizable peaks, The Elephant and The Lion, bear a resemblance to their namesakes. At the head of the sound proudly sits Lady Bowen Falls. Dramatic bluffs aside, rainforest flora clings to the cliffs, sometimes sloughing off leaving bare patches that quickly regrow. It's not just the landscape that visitors come to admire. Seals, penguins and dolphins are frequently spotted, while even the odd whale errantly ventures up Milford Sound. An underwater observatory provides an up-close visit to rare black coral in the area and the brilliantly coloured creatures that inhabit it. Why visit: Most of New Zealand’s only Dark Sky Reserve lies within the park, affording the most amazing stargazing anywhere in the country. More detail: This park surrounds visitors with towering peaks, sure to inspire awe. It's also home to New Zealand's largest glacier. Tasmin Glacier stretches 27 kilometres and is 3 km at its widest point. Further, Aoraki also contains all but one of New Zealand’s 20 tallest peaks. (That's a lot of natural wonder contained within the borders of a single park!) Climbers will enjoy some of the climbing in Australasia, while trail provide gentle walks for the less athletically inclined. Daytime visitors should keep an eye out for the only alpine parrot in the world and the elusive jewelled gecko. From late spring to early summer the Mount Cook lily – the largest buttercup in the world - makes an appearance. Why visit: It’s a surreal landscape sculpted by geothermal activity marked by bubbling pools, steaming earth and volcanic craters. 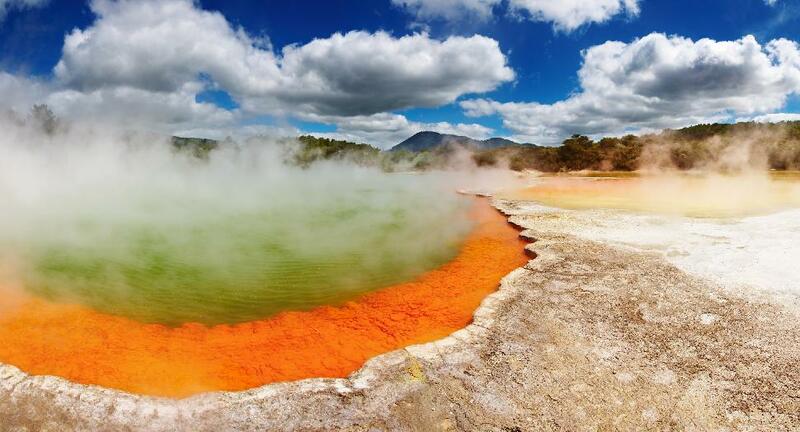 More detail: Intense geothermal conditions have created colourful hot springs, many of which can be reached on foot. Lady Knox Geyser is manually erupted by dropping a natural substance into the vent which has developed into a white cone from the silica in the water. Champagne Pool, named for the CO2 that bubbles through the water, is a crater 65 metres across and encircled by orange and white deposits. Overflow from the pools have created areas called the Artist’s Pallete where much of the colour is deposited and the Primrose Terrace that collects the silica. Why visit: This is the historic location where first European settlers landed, and is characterized by a series of unique little towns and beautiful beaches. More detail: The natural harbor is dotted with 144 islands and further defined by several inlets and peninsulas. The Maori settled the islands about 700 years before the arrival of the Europeans, and were important in the development of New Zealand. Historic European structures mark the towns which sprung up on the islands, which can be visited via the ship that originally ran a supply route between the towns. Why visit: Sunset on the mountains is so incredible that early settlers may have named the range after the sight, which truly is remarkable. More detail: Those who stand atop the Remarkables - whether on skis or under foot - rave about their unreal beauty. It's the type of grandeur that can't be captured in a photograph, though a real attempt has been made on film: the Remarkables were among the set locations of the blockbuster Lord of the Ring film series. (As was the Queenstown countryside.) Popular with outdoor enthusiasts, it's a destination for skiing, hiking and climbing. Single Cone has routes which can be climbed in a day, while Double Cone has offers experienced climbers greater challenges. Looking for a more leisurely way to enjoy the Remarkables? Get a unique perspective, admire them from the cockpit of a helicopter tour. This post was brought to us by our friends at Collette. 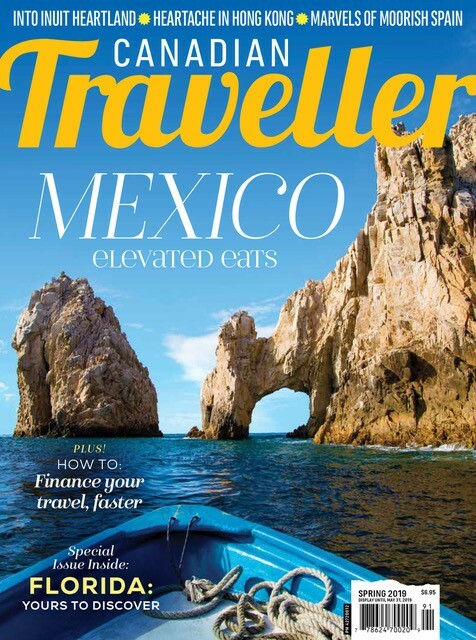 If you've been inspired to travel to the stunning places we wrote about above, Collette offers guided tours to all of them. 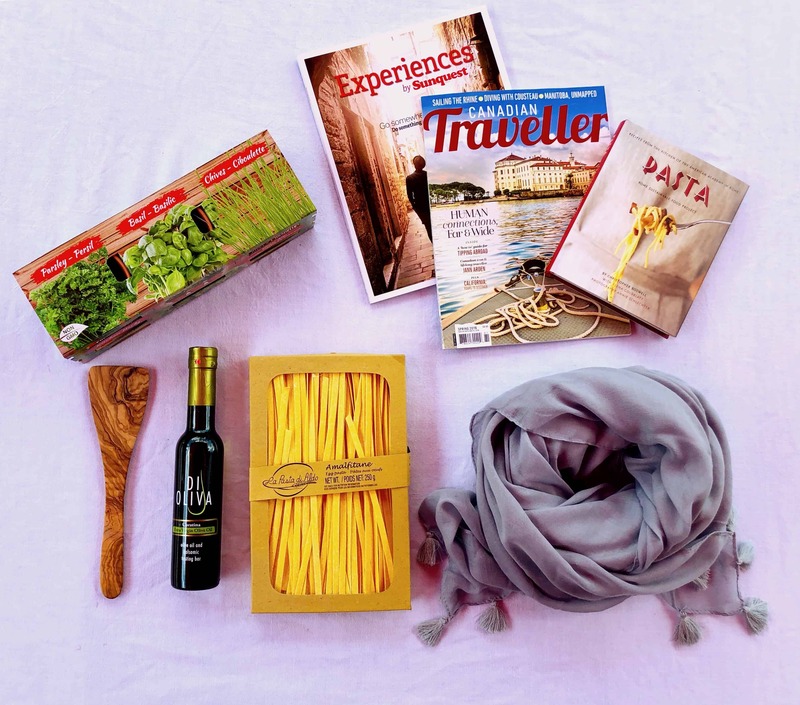 Click here to read more about their Australia & New Zealand itineraries.